Bill Chastain of MLB.com offers a quick hit on yesterday’s autograph signing fundraiser for a young Tampa woman with cancer that raised $15,950 including $5,000 by the Tampa Bay Rays, who bought 18 dozen signed balls with a special cancer-fighting hologram that will be donated to charity. David Price, Matt Garza, B.J. 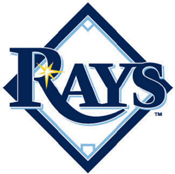 Upton and Evan Longoria were among the Rays players who signed (MLB.com, 3/14).